Could apps for cameras make an appearance soon? Olympus UK has told us that apps for cameras that can be bought after the purchase of the camera will eventually make their way onto the market, but it could be a while yet. Speaking to TechRadar, Mark Thackara, national marketing manager for Olympus UK, said that the possibility of camera apps had been discussed in the past. The discussion comes after Polaroid announced its SC1630 "smart camera" at CES at the beginning of the month. The camera uses the Android operating system, allowing for extension via apps that can be bought on the market. It is the first camera of its kind, though of course all Android smartphones also have inbuilt cameras. Thackara continued, "It's something that has been discussed, but because the emphasis is on image quality, they're [Olympus] a little wary of opening up the OS. "I think it'll happen eventually, but things are not as easy as we think. The appeal of people being able to add to their cameras is big though. It's on the list." 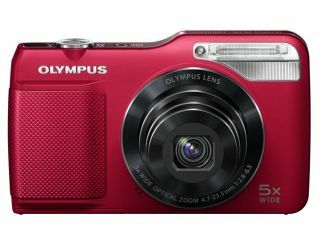 Olympus cameras would seem to be a prime candidate for added extras, as models such as the PEN range and the premium compact XZ-1 all feature a range of digital filters that could be increased with extra downloads, while it's recently announced VR-340 even has inbuilt image editing.